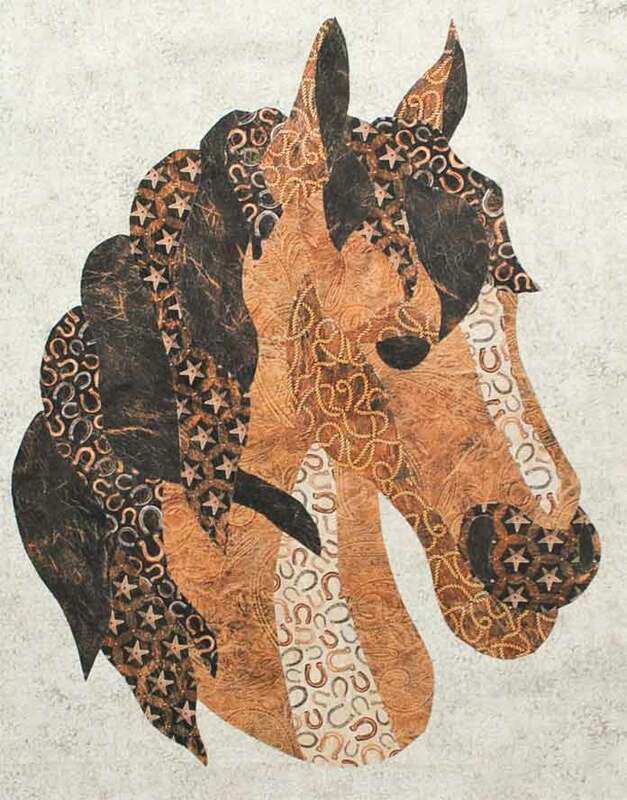 Yesterday on QUILTsocial I showed you how to trace, fuse and cut the applique shapes to make our Wild and Free horse applique for the Equestrian Beauty Wallhanging. 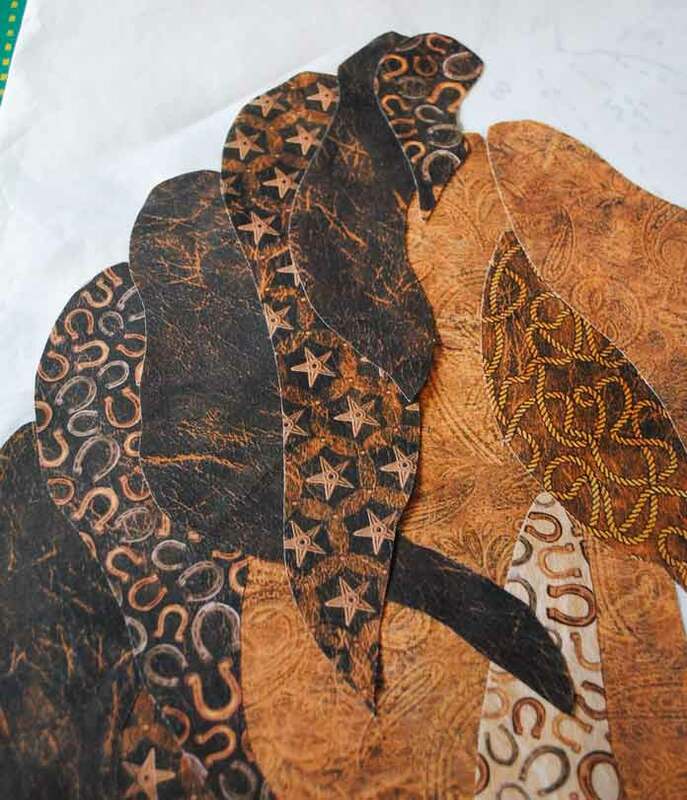 Today we finally get to iron all of these pieces together and see how great the applique looks! 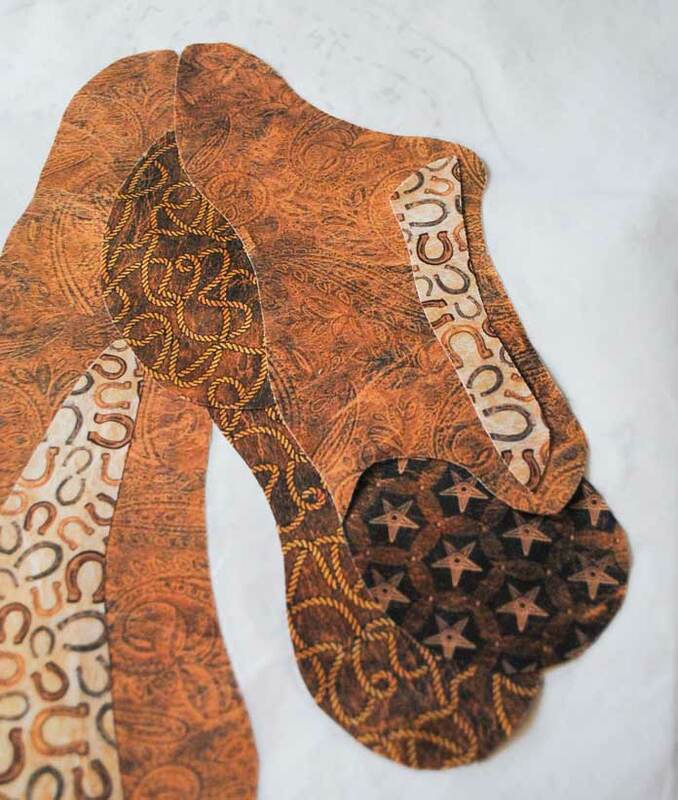 The easiest way to assemble fusible applique shapes is to use a pressing sheet and a pressing board. 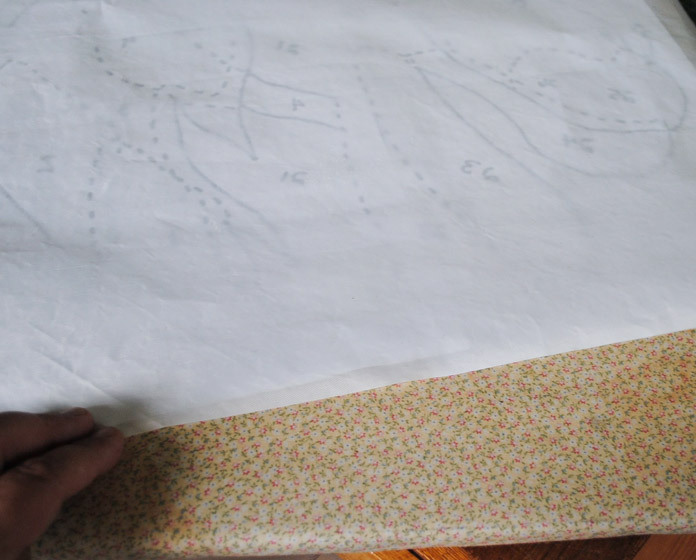 I talked about making and using a pressing board in my QUILTsocial post in June 2106. 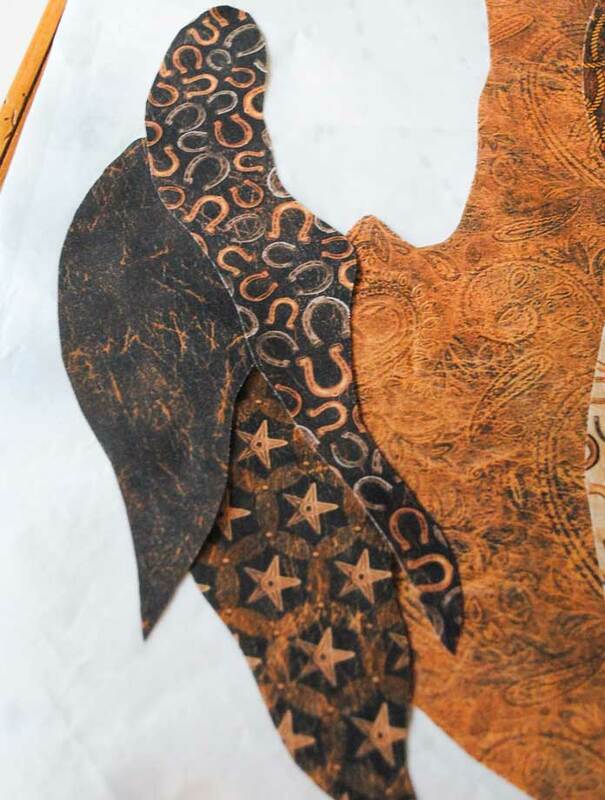 Before fusing the applique pieces, layer the pressing sheet on top of the paper diagram (that is placed wrong side up) and then place both of these on top of the pressing board or ironing board. Find section 21 and 23 on the diagram and the corresponding fabric shapes from the basket in which the shapes are stored. 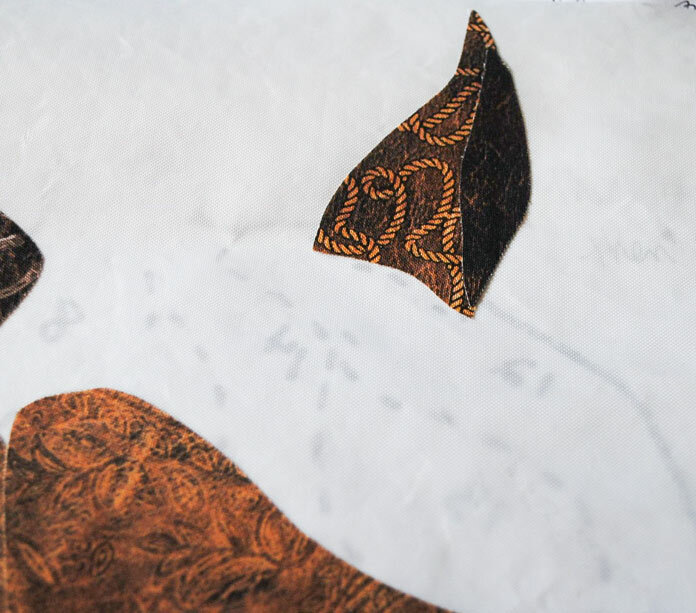 Peel the paper backing off of the fabric shapes and then lie them on top of the pressing sheet according to their placement on the paper diagram underneath. Fuse in place using a hot iron. Make sure to read the manufacturer’s instructions for whatever type of fusible web you’re using. Add sections 22, 24, 20 and 25 (in that order) and fuse into place with a hot iron. 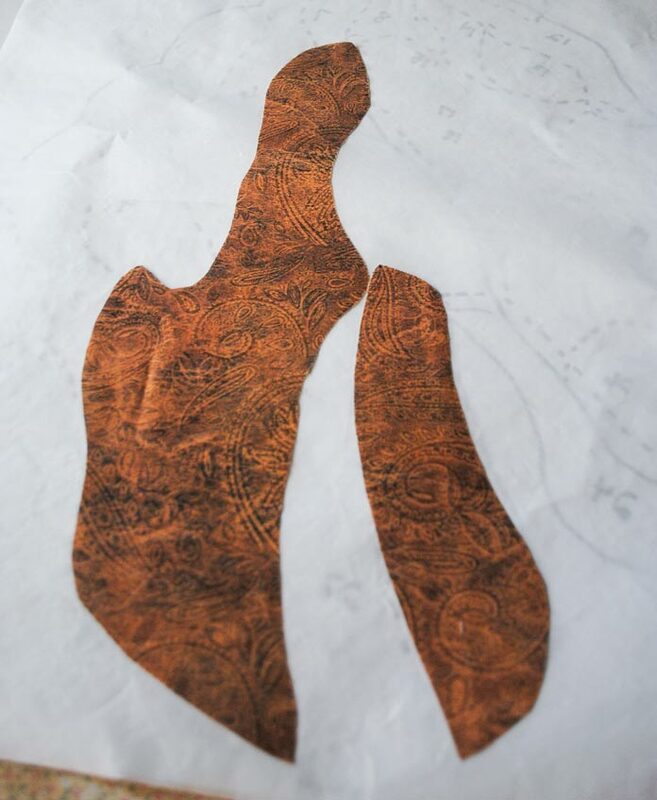 The next step to make the horse’s head using Northcott Wild and Free fabric is to add section 16 and then place section 19 on top and then fuse both into place using a hot iron. Place and then fuse sections 1, 2 and 3 of the horse’s mane. Next, sections 4, 5, 6 and 7 are added in that order and then fused into place. Place section 10 and then section 11 on top and fuse into place. Lay down sections 12, 13, 14 and 15 of the horse’s mane (in that order) and then fuse into place. Place section 8 and section 9 of the horse’s ear and then fuse into place with a hot iron. Place the horse’s eye (section 18) and then the eyelid (section 17) and then fuse in place. 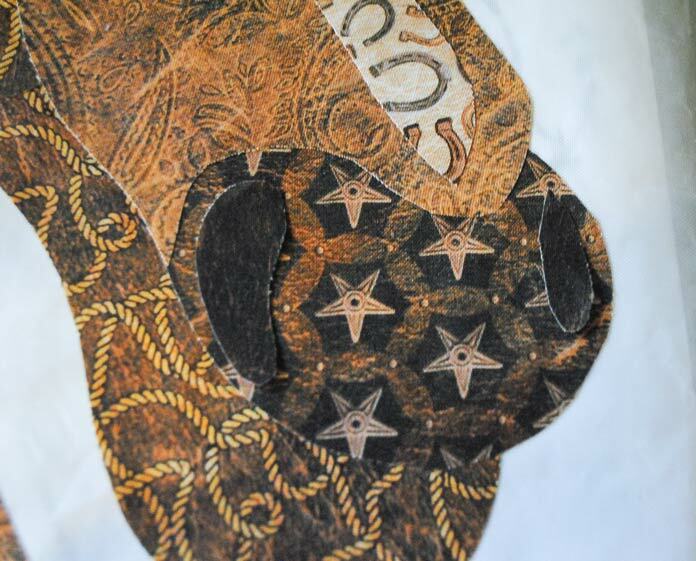 The nostrils, sections 26 and 27 are the last two pieces to be placed and fused to complete the horse applique! 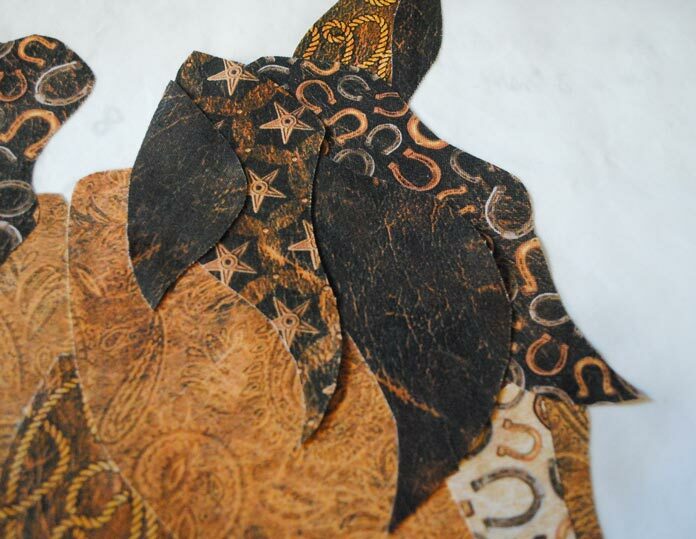 At this point, leave the horse applique stuck to the pressing sheet (for safe keeping). Tomorrow we’ll assemble the quilt top using the Wild and Free fabrics from Northcott and we’ll iron the applique onto the background. See you then! 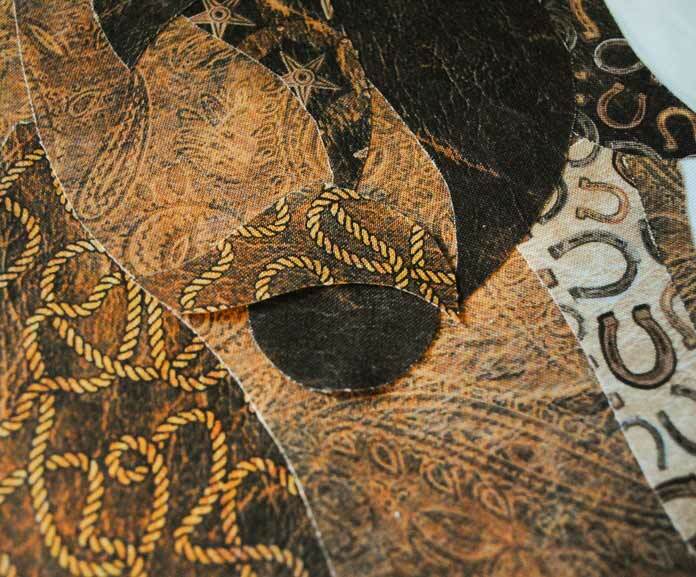 Thank you so much for this pattern. I used it to make my first quilt. It turned into a lap quilt for my 8 year old. We love how it turned out! 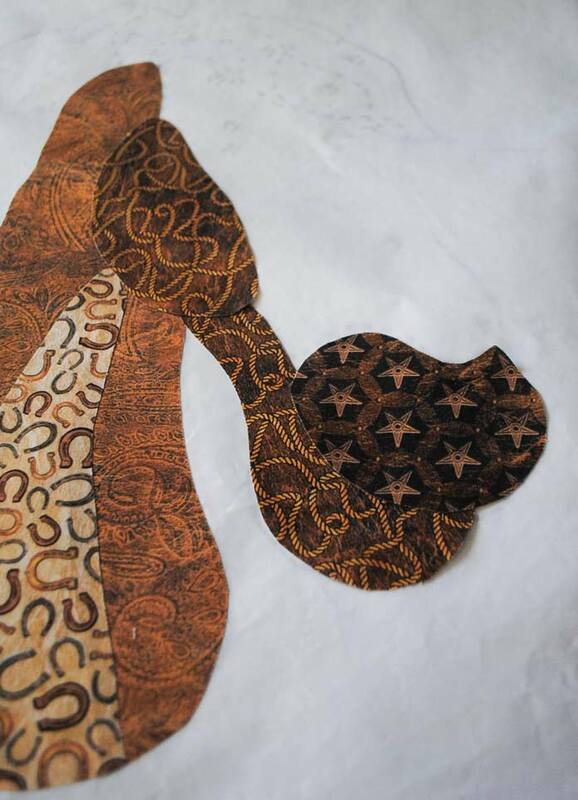 This makes applique look so easy to do. I may have to try it! Great choice of fabrics as well. 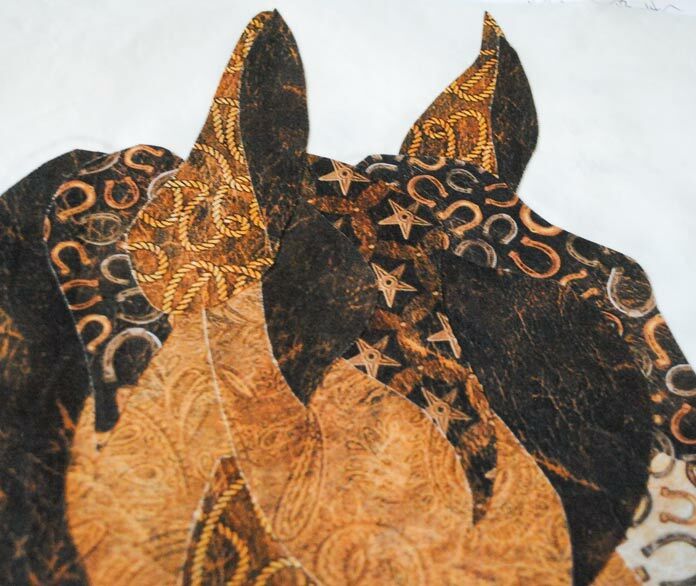 My mom would absolutely LOVE this horse applique!! What a perfect use for the bundle you’re giving away!! Thanks so much for the chance to win!! Thanks Vivian! As soon as I saw those fabrics I just KNEW how I wanted to use them! Northcott fabrics are just amazing!